IEP. This acronym haunted Jordan Toma as he grew up. Three simple letters placed him in separate classes, away from the others. It stands for Individualized Education Program, and its designed for children who receive special education. This segregation told Toma at a young age he was different, and that difference seemed like a weight he would drag through life as he struggled to catch up with others. But Toma’s IEP wasn’t who he was. The moment he learned this, everything changed. As Toma began to taste success for the first time, he became dedicated to his personal growth and aspirations. As his confidence grew, so did his health, his personal relationships, and his academic skills. 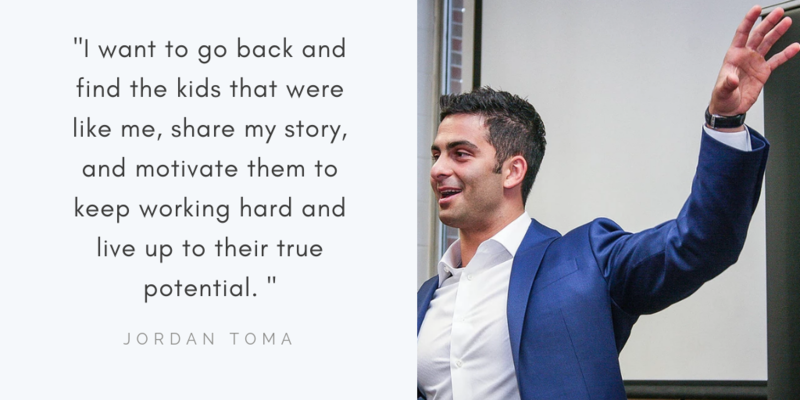 After he graduated the program with a 4.0 GPA and college with a 3.3 GPA, Toma began his own insurance company in Westfield, New Jersey. However, when he was called to speak to a class one way about his life journey, he realized just how hungry kids like him were for the hope his story offers. “I wanted to come back and say, ‘I went through this. I struggled. I was one of those students just like you that could have slipped through the cracks, but I put myself out there. There are programs in place and people who will help you along the way, so don’t give up.’” In August of 2017, Toma founded I’m Just a Kid with an IEP, LLC. Its purpose? To inspire those like him and to be the person he needed to hear from when he was younger. His goal is now to visit as many schools as possible in hopes to inspire others like himself. At the heart of Toma’s story is this: you are no less human and no less worthy of what the world has to offer just because you have an IEP. With hard work, dreams are possible. 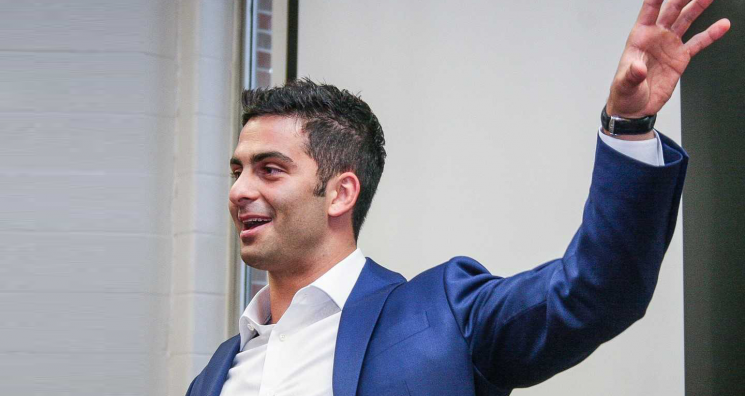 This is the purpose behind Jordan Toma’s efforts. “I decided to accept that this is how I learn and that I had to change,” he said. “I can’t let [my IEP] control my life, so I began using it as an asset. If it takes me ten times longer to figure something out, I increased my work ethic. That drove me to where I am today and who I am. It was a lot of positive self-talk and a lot of hard work.” He tells his story because it shows that a label doesn’t have to define your future. This one man inspires others by illustrating the potential lying in wait inside of them. If your school or organization would like to book Jordan for an event, you can reach out to him directly at www.jordantoma.com.